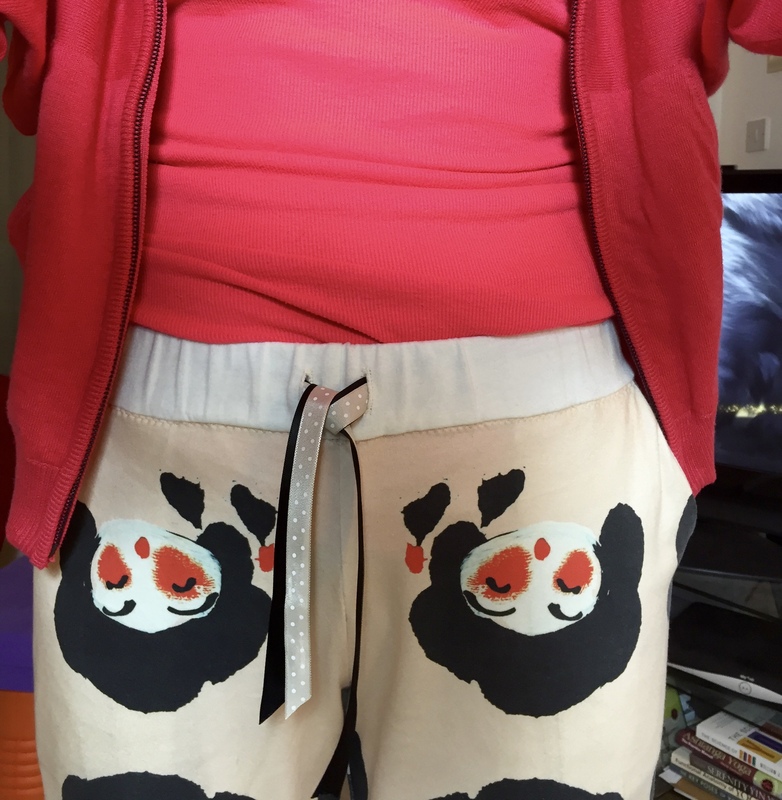 These are my second pair of Closet Case Files Carolyn PJs bottoms– the first are in cotton (with flamingos!) 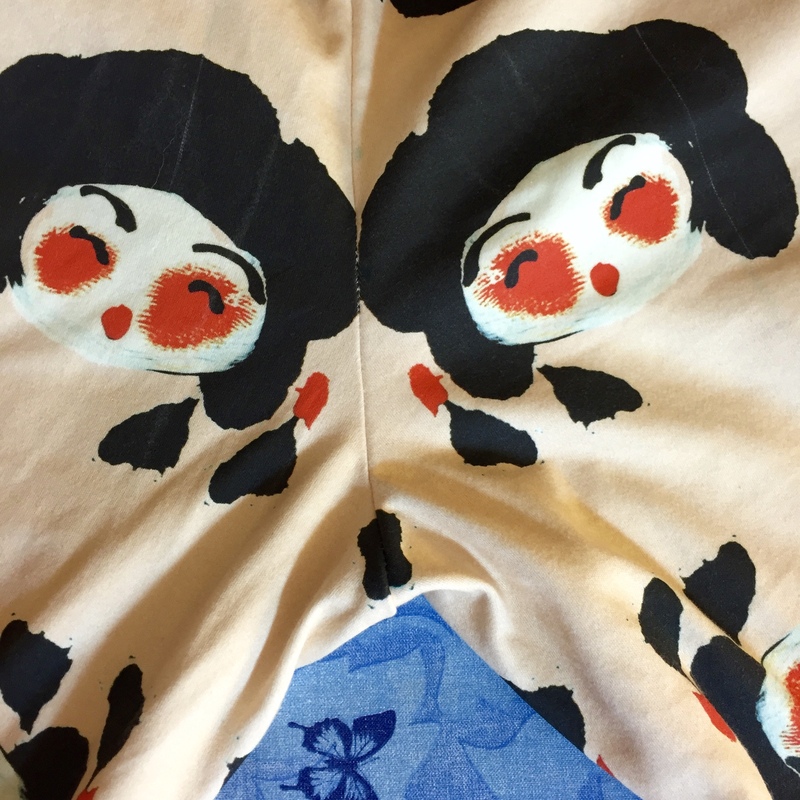 This time I made them up in a stable organic knit that I’ve had in my stash for a while…it was a spur of the moment purchase from Spoonflower when they had free shipping. Although this pattern is designed for wovens I couldn’t see why it wouldn’t work in a knit. Closet Case is one of my very favourite pattern companies- the combination of style and fabulous pattern drafting is a winner for me… see my embroidered Kalle dress, navy pinstripe Kalle, silk Kalle one and two, Kalle shirt, Ebony tee and dress, houndstooth Clare Coat, Carolyn pj bottoms in flamingo cotton. 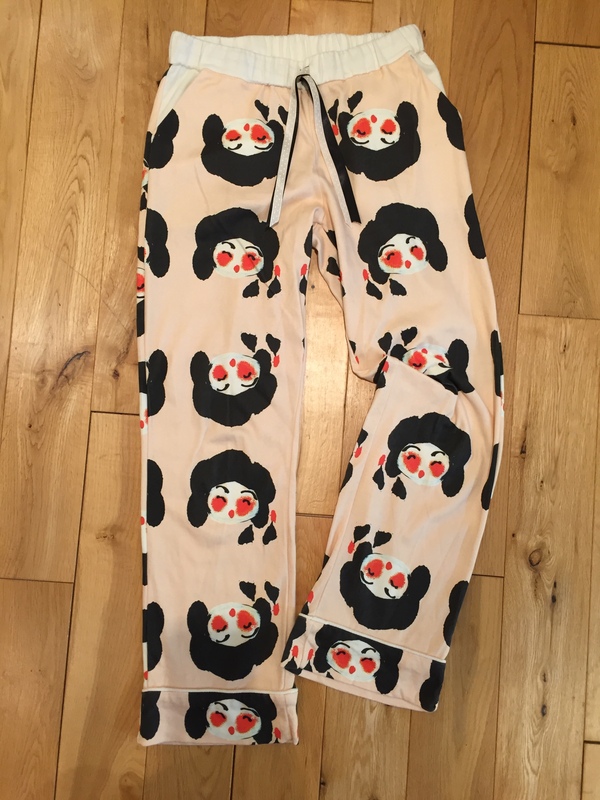 I also have 2 pairs of Ginger jeans which I’ve never got round to blogging because so many others have done it so well. 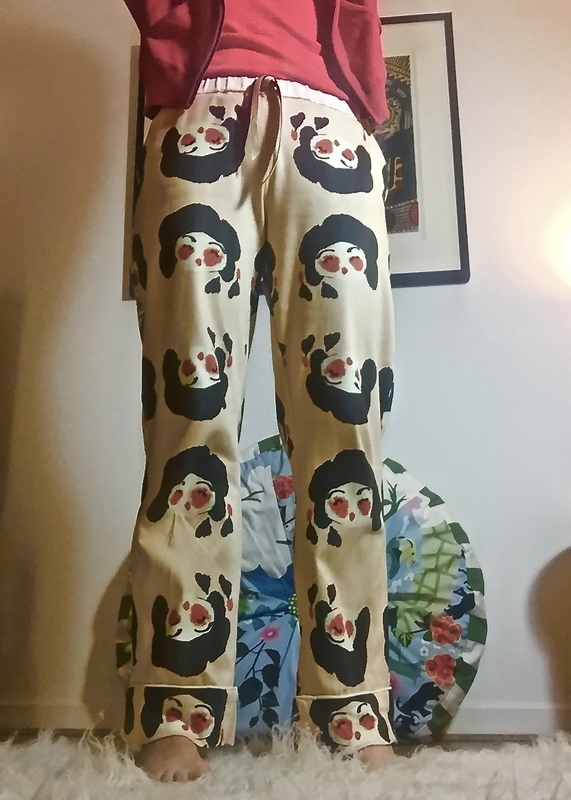 I cut the same size as the original pair on the basis that it’s easy to make them smaller with the overlocker if needed. 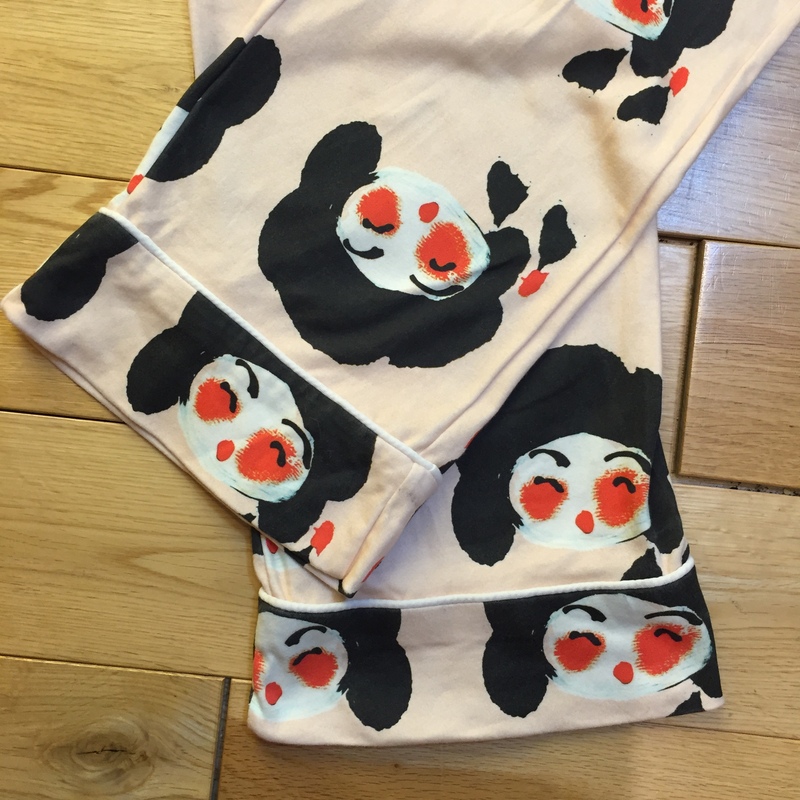 I had intended to make view A this time (without the cuffs) but this print was a …. 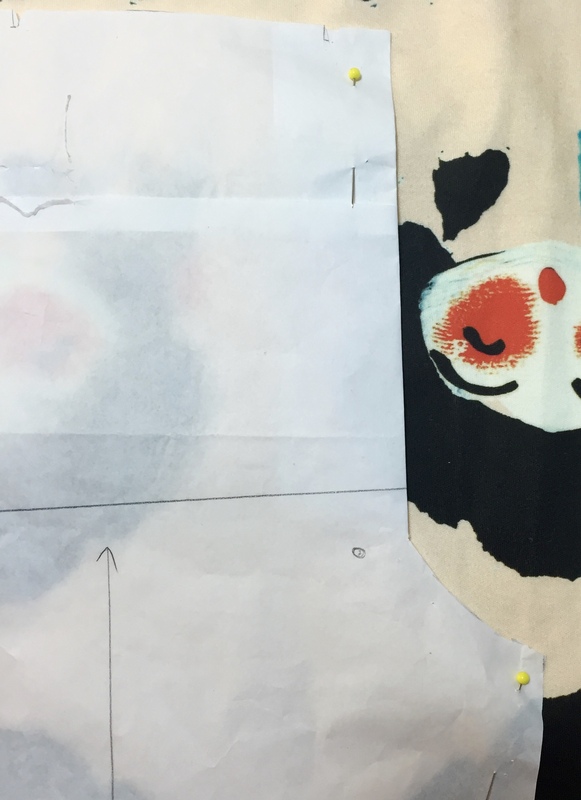 challenge (polite word for it) to work with and get a decent pattern placement with the 2 metres I had to play with- there wasn’t much wiggle room so I went with view B and then cut the waistband and pockets in a plain cotton jersey. 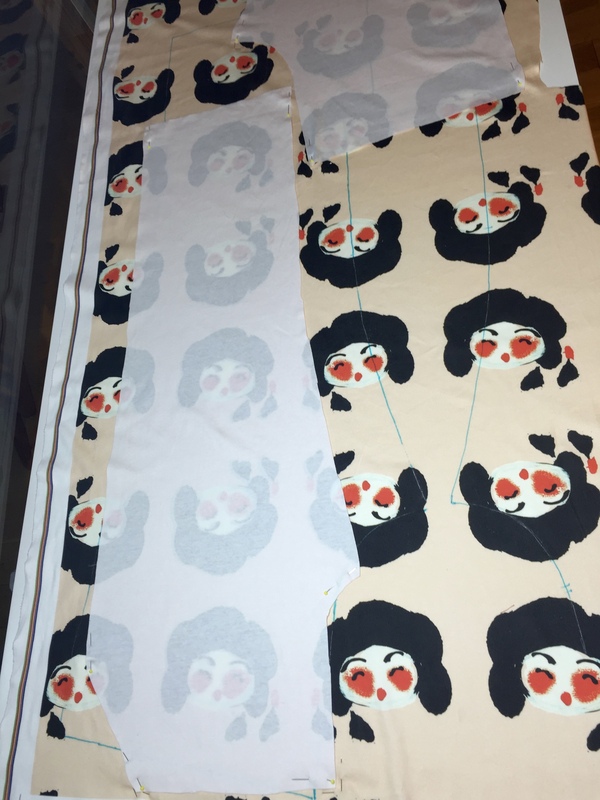 That took most of an afternoon to work out with each of the pieces being cut separately and overlaid on the fabric to get the patterns to match on both sides exactly. I also left the faux fly out on this pair by just folding it out of the way. 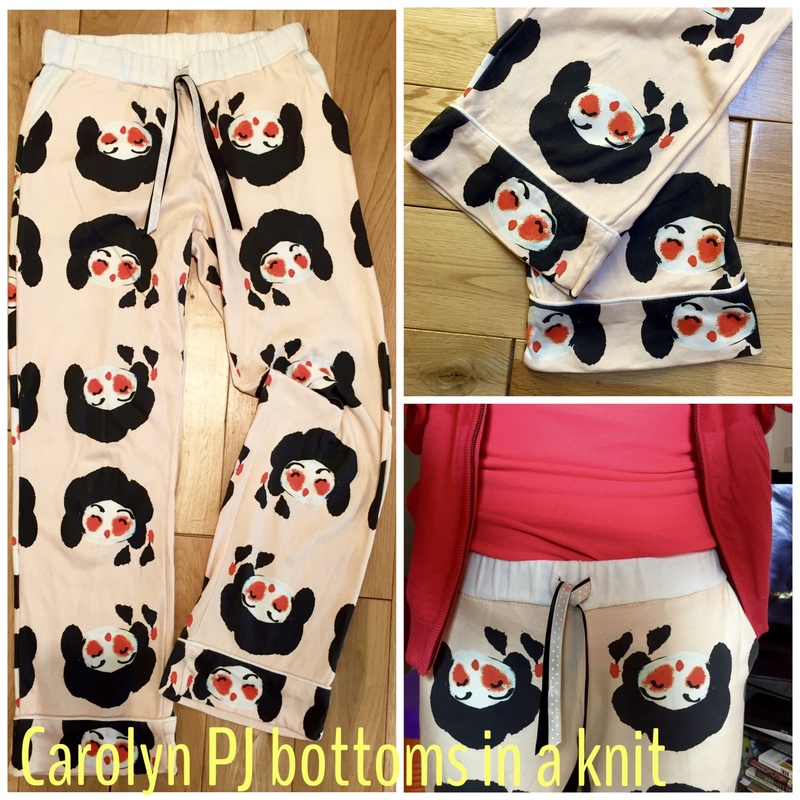 The plain knit fabric was a bit lighter than the main fabric so I interfaced the entire waistband and both pocket pieces with a light fusible knit interfacing This time I added 2″ to the pocket depth which feels about right when I’m wearing them. These went together in no time using the overlocker (tension settings 7757 on my Janome). There was a little bit of an unfortunate pattern placement issue in the crotch area which has to be removed….don’t really want a black spodge in the mid-crotch! Heather Lou has a fab tutorial on knit piping on her website. She makes flat piping but I went with corded using the same jersey I made the waistband and pockets from. It was a bit bendy after sewing it but worked great. The piping went on with no problems in exactly the same way as the bias piping; the slightly lighter weight of the piping fabric helped too. I sewed it all with a straight stitch since there won’t be any tension on the cuffs and finished them by hand with a catch stitch so no stitching is visible on the outside. 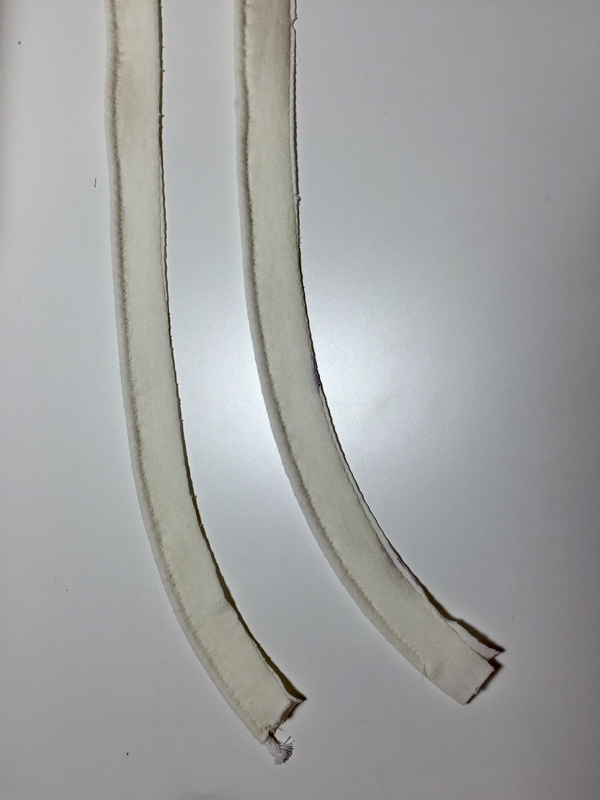 I used the stretch buttonhole on my machine to add 2 openings for a drawstring on the front of the waistband. The elastic went in as per the instructions then I added the double ribbon at the end. It’s more for decoration and I might still change it for something else; I’m not entirely happy with the way it looks. 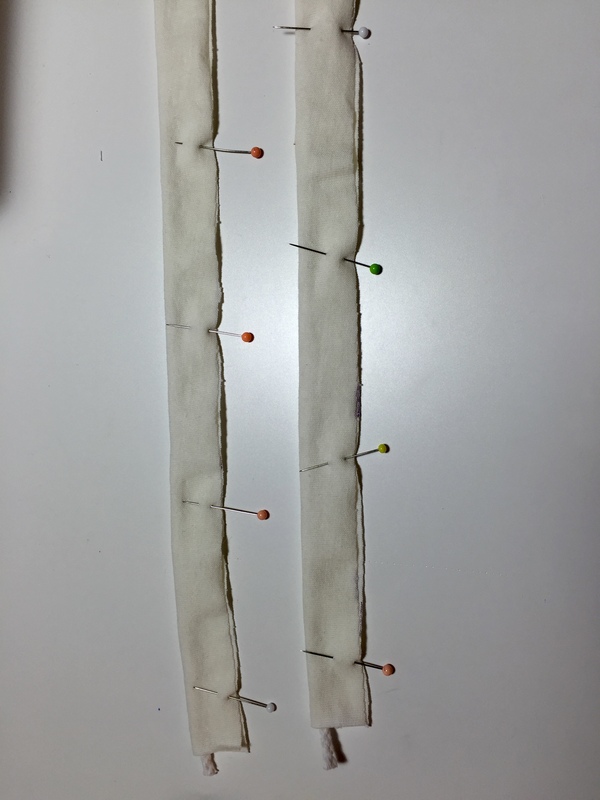 I did try catch stitch to finish the waist band but with the elastic it didn’t work as well as I would have liked so I ended up topsitiching in a narrow zig zag just underneath. That’s it- these are very, very comfortable and I love them just as much as the flamingos!